SAN FRANCISCO, Calif. – San Francisco Heritage (“Heritage”) and Mill Valley developer Thompson|Dorfman Partners, LLC announced that they have reached an agreement rescinding Heritage’s appeal of the City’s approval of the mixed-use project at the current site of the Fifth Church of Christ, Scientist located at 450 O’Farrell in the Tenderloin neighborhood. The project will replace three existing buildings with 176-dwelling units, including 16 percent affordable, a new church facility and reading room, and ground-floor retail. Built in 1923, the church building is part of the Uptown Tenderloin National Register Historic District. Redevelopment of this site has been contemplated for over three decades. The project, proposed in 2013, envisioned a completely new Church and housing project. The planning process guided the project sponsors to retain the original façade against the wishes of the Church. The subsequent four-year process resulted in the proposed saving of the façade. On September 13, at the request of Heritage and with consent of both Thompson|Dorfman Partners and the Fifth Church of Christ, Scientist, the Planning Commission approved a revised design without the colonnade. Nonetheless, Heritage appealed the project approvals to the Board of Supervisors alleging that the City’s approval failed to incorporate feasible mitigation measures to account for the project’s significant adverse impact on the neighborhood by demolishing the historic church building. The parties’ comprehensive settlement provides for the dismissal of Heritage’s appeals and will end their opposition to the project. Members of the Fifth Church of Christ, Scientist stated that the process that led to a multi-year delay needs repair but are supportive of the design change which they see as an honest expression of their continued presence in the community. “We are pleased to have reached an agreement to allow this project to proceed. 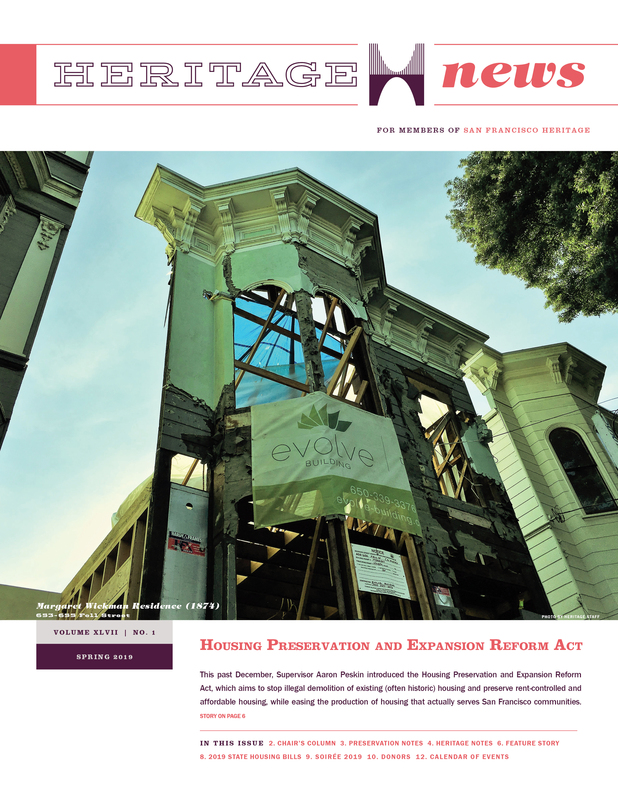 We will use this experience to initiate a dialogue with the San Francisco Interfaith Council and other communities of faith to explore creative options that respect their position in the community and their historical properties, while creating more housing opportunities in this supply-constrained area.” said Buhler. Thompson | Dorfman Partners, LLC is a real estate development and investment firm whose principals have a long history in California’s housing industry. Formed in 1999 by Will Thompson and Bruce Dorfman, Thompson | Dorfman focuses on multi-family residential development, with particular emphasis on well-sited, urban in-fill and mixed-use properties located in high-growth, technology-driven markets in the western U.S. The principals of Thompson | Dorfman are 25+ year veterans in their industry with a reputation for quality and a track record of performance. Collectively, they have developed 15,000 multi-family homes in 45 California apartment and condominium communities. They have also expanded their services to provide development advisory, management, and investment expertise to corporate land owners and financial institutions. In 2015, they formed a new venture with Trammell Crow Residential and embarked on developing a $1 billion pipeline of multi-family projects in the Bay Area. In addition, Thompson | Dorfman has created a non-profit entity, Education Housing Partners, Inc., to provide a full complement of development services to school districts and other public agencies to build workforce housing to help recruit and retain quality employees.